Need a confidence boost before your next interview? Looking to work outside the box and want to join an energetic, innovative, and rapidly growing company? 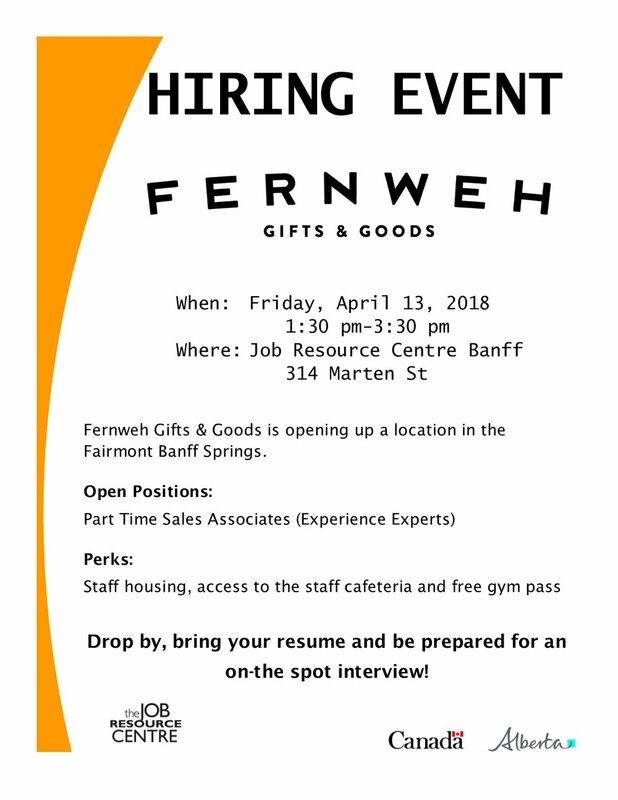 "Fernweh" means 'a longing for far off places' and it's the name of a new store at the Fairmont in Banff. Alberta Human Rights in the Workplace. Join this important discussion! Rock Your Resume! Sign up at the Canmore Civic Centre today. How much do you really know about human rights in the workplace? 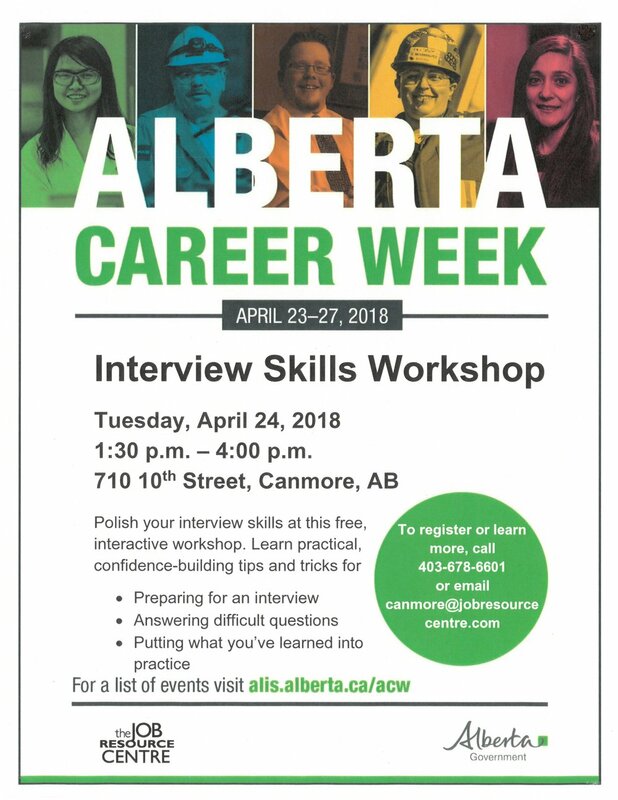 Colleen Moreland from the Alberta Human Rights Commission will present this upcoming workshop on Alberta's Human Rights Legislation, the employer's duty to accommodate and how to prevent harassment and bullying in the workplace. Come work with us at the Job Resource Centre! 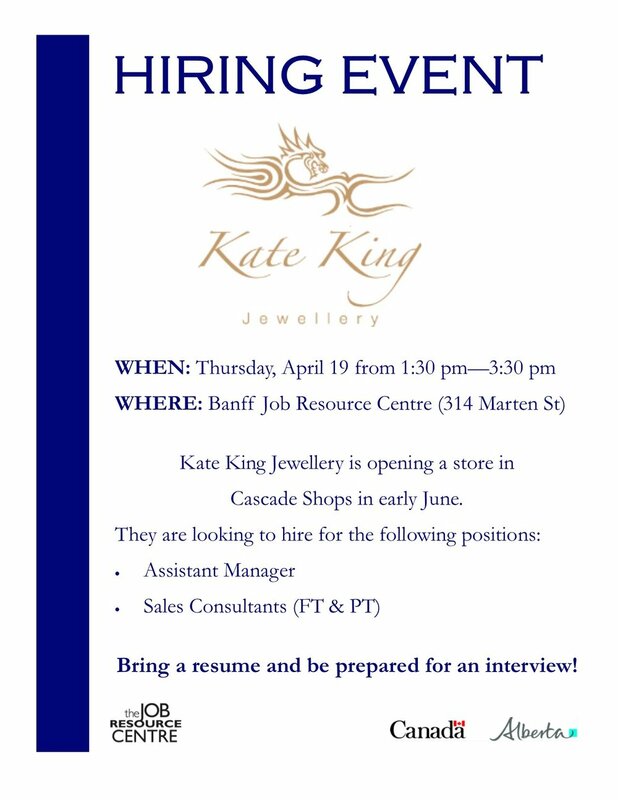 Looking for meaningful work in the Bow Valley? We're looking for a Career Coach to join our awesome team.